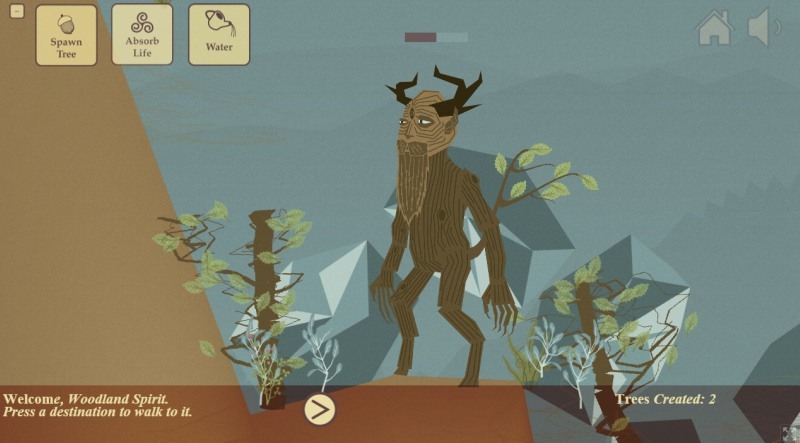 Arboreal Demigod is a nature simulation game wherein you play as a demigod that can absorb and create life. Using your powers, spawn different types of trees and feed animals with their seeds. You can also create rain to make more plants grow. As a demigod, your other objectives will include fending off woodcutters, preventing forest fires, and finding worshippers. The game uses parallax scrolling, so objects on the background move slower than the foreground pictures. This adds more depth to the 2D art.